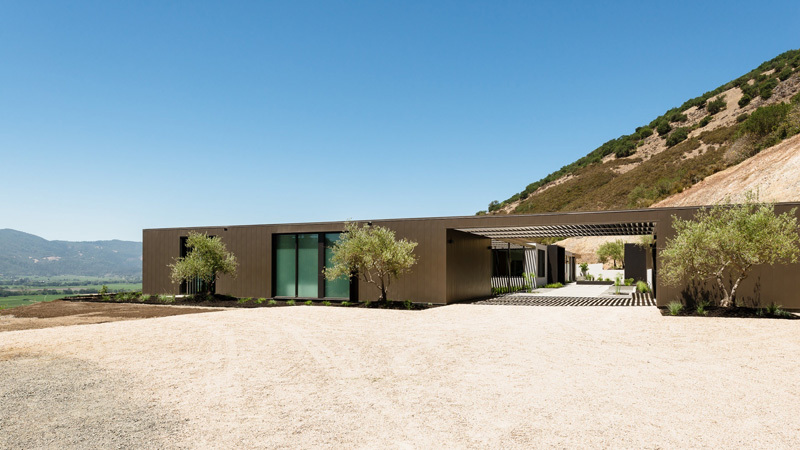 Architect John Maniscalco, has designed a home nestled into the hillside above the Silverado Trail, in Oakville, California. 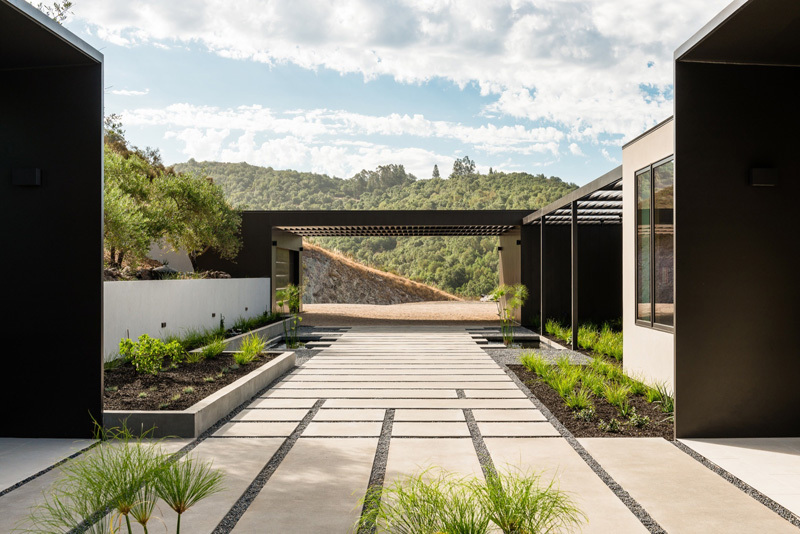 This custom home stretches across its site in a linear form that maps the path of the sun across the functions of daily life. 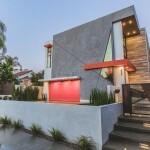 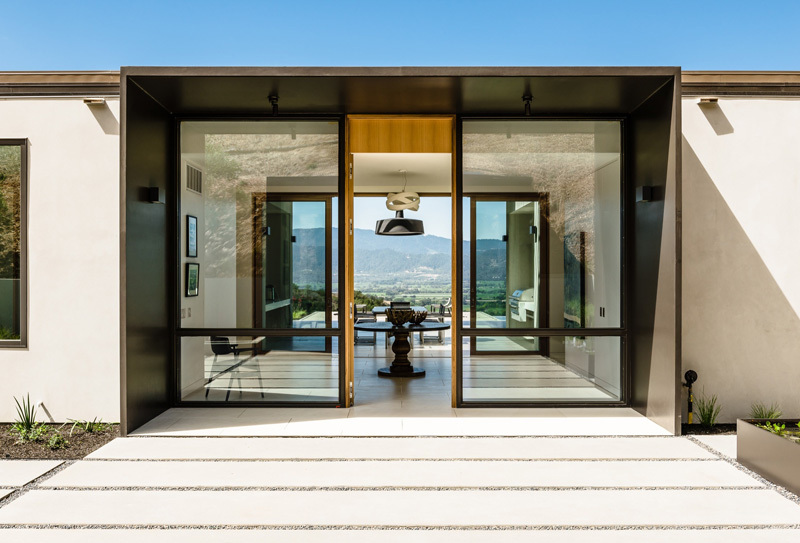 As you enter the home, you’re welcomed by an oversized door and large glass windows. 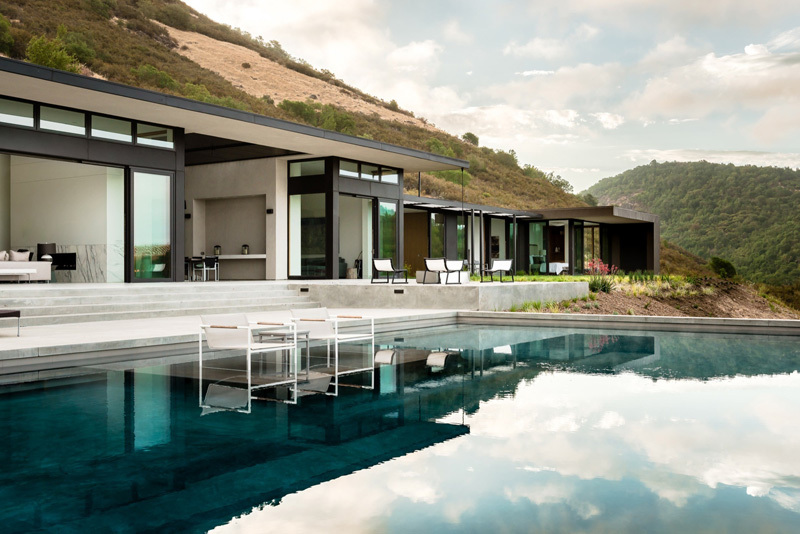 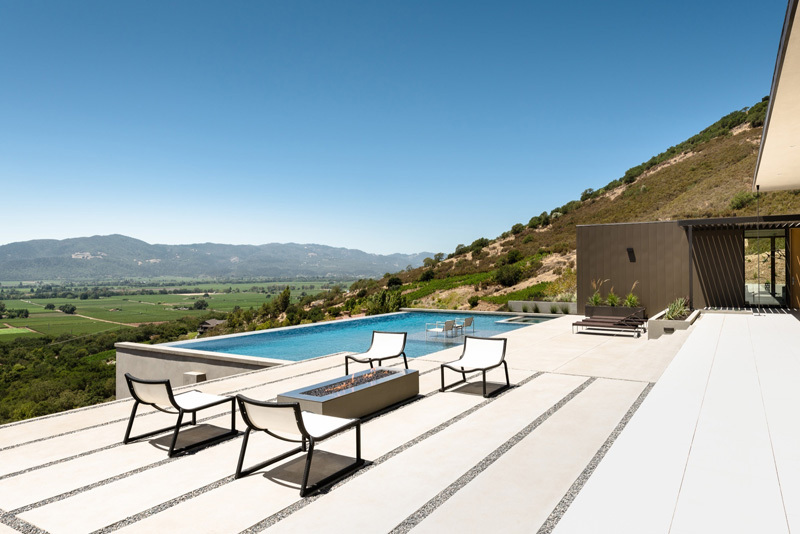 The home features a well-sited infinity pool that creates a sense of reflection and spatial extension, mirroring the dramatic skies of the Napa Valley. 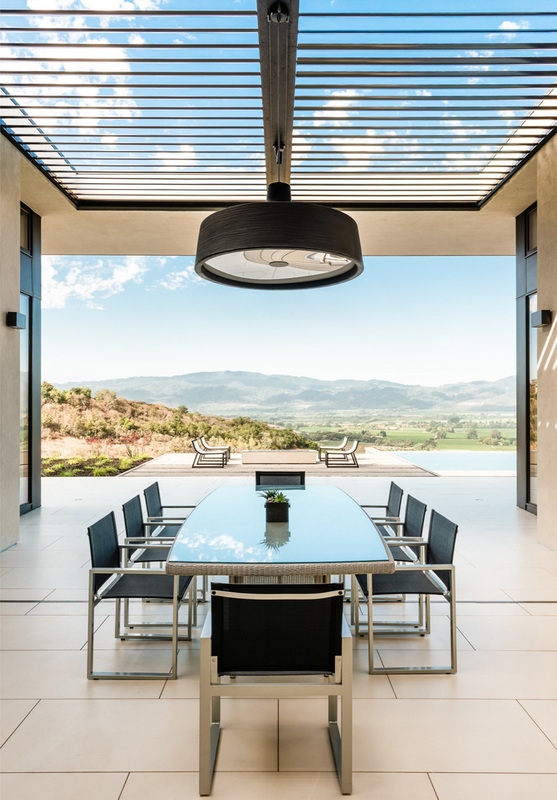 The home is characterized by seamless indoor-outdoor experiences and perfectly framed views of the dramatic natural siting. 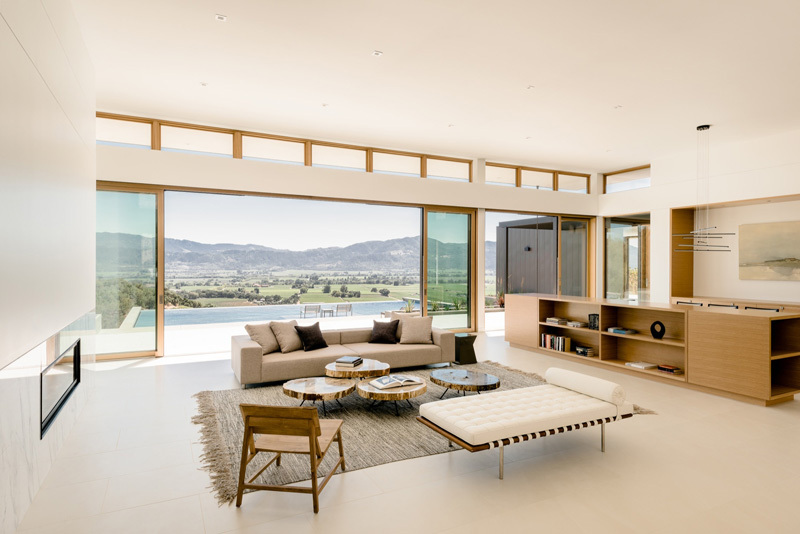 A calm and neutral palette has been used throughout the home. 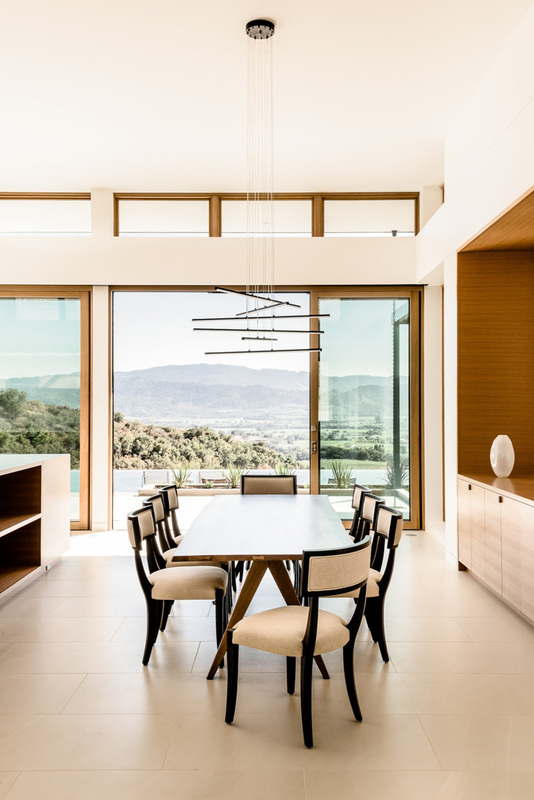 The dining room, situated to the side of the living room, also has views of the valley. 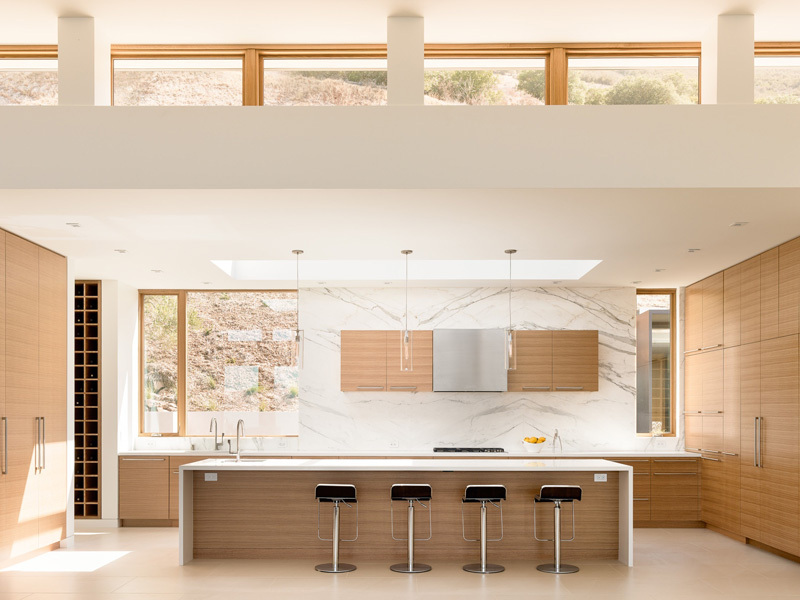 The kitchen features a large island, with plenty of room for food preparation and also has room for seating. 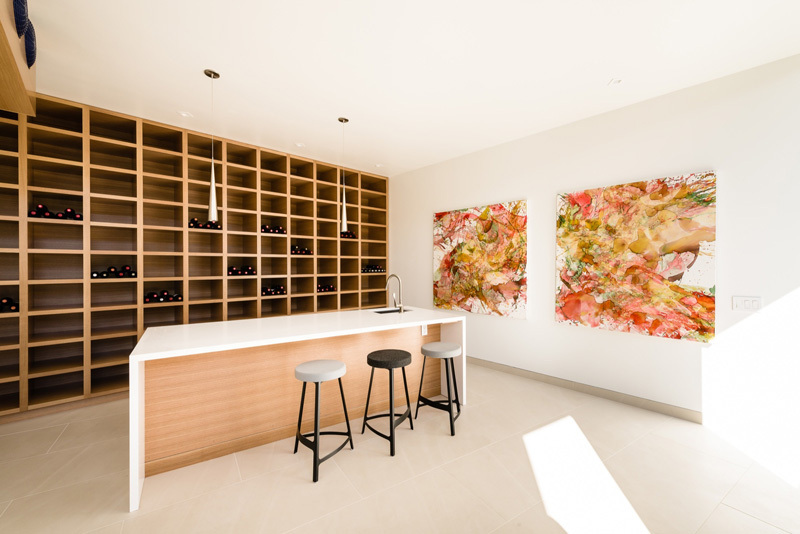 As the home is close to vineyards, a custom wine cellar has been included in the design.